Boat Description Pro Angler V-16 delivers Deep V ride and fishing stability in a compact packagewith the layout and storage of a traditional bass boat. While compact and towable with a smaller vehicle, this model delivers full-size value and the confident handling of a Deep V hull. 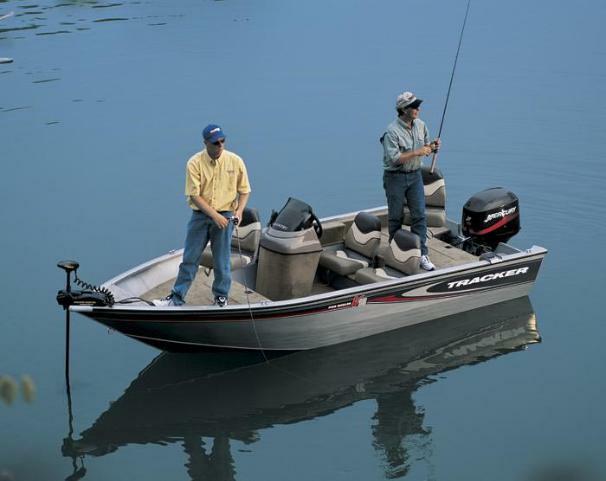 Laid out like a bass boat, it features elevated bow and aft casting decks and fishing seats, generous bow, aft and underseat storage, and a 7`6` lockable rod locker. Package includes Mercury outboard, Lowrance X37 fish finder, Minn Kota foot-controlled trolling motor and aerated livewell with timer plus our easy-to-tow custom trailer with EZ lube hubs and GalvaShield protection. Dry Weight 910 lb approx.